You hear people say: write fearlessly. I never knew what that meant. What, write like someone is holding a gun to the back of your head? Write like you’ll die if you don’t? Sure, do those things. But that’s not what writing fearlessly means. It means writing what your heart tells you to knowing people won’t like it. It means writing like Robert McCammon. I arrived late to the McCammon party. My first foray was BOY’S LIFE, which I read in 2011, almost twenty years after it was published. It was amazing, I wanted more. So I picked up GONE SOUTH, which looked like a fun adventure yarn. You ever hear those legends of lions getting a taste for human flesh and going on a killing spree? It would be like calling one of those beasts a kitty. GONE SOUTH is a fun adventure yarn (same as a lion is technically a cat), written by a man wrangling his intrepid heart back from the clutches of a publishing cartel that wants to pigeon hole him as a branded commodity. It is a middle finger on fire. 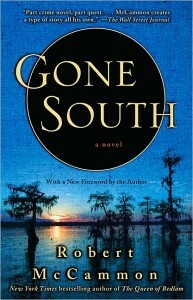 From the blistering first sentence, “It was hell’s season, and the air smelled of burning children,” to the bizarre cast of characters that would come off as hackneyed under less capable hands, to the roller coaster ride through every emotion our neurochemicals can secrete, GONE SOUTH is not just a fun read. It’s a dangerous read. It may change the way you look at fiction. It may change the way you write. 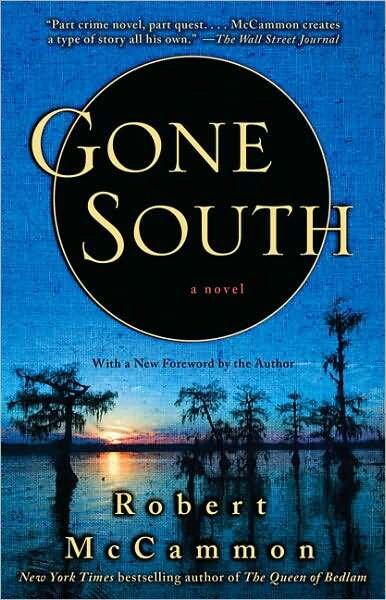 While GONE SOUTH is not my favorite McCammon book, that would either be SWAN SONG or SPEAKS THE NIGHTBIRD, it struck a chord with me and made me an immediate Robert McCammon fan. Trust me, just the foreword explaining why he wrote the book is worth the price alone. 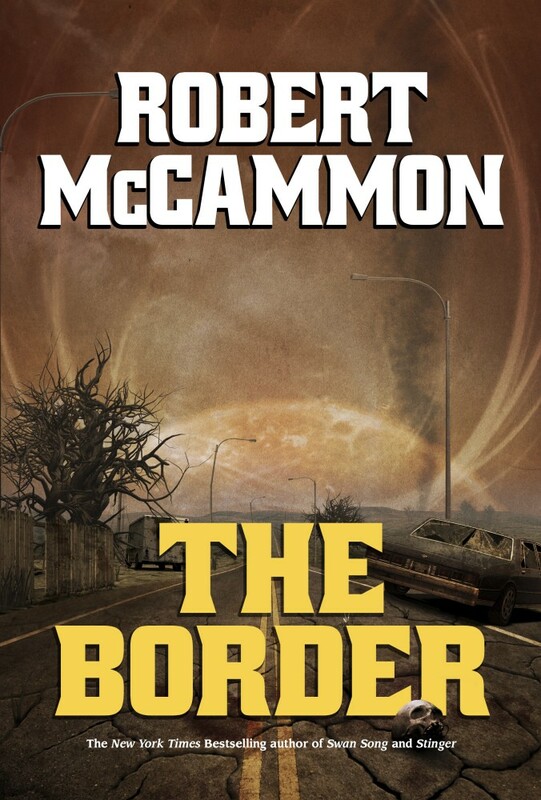 Robert McCammon was given the golden ticket to a lucrative life as a one-trick pony. Many have cashed that fucker in. But he saw the chintzy aluminum wrapping painted yellow and gave it back. Then he found his own way through. I’m so happy he did. 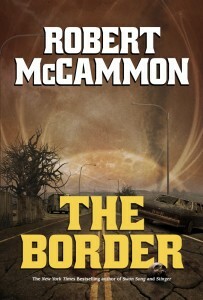 McCammon has a huge back catalogue, and I don’t think you can go wrong with anything he’s penned. But, if you want to read something fearless, pick up GONE SOUTH, HERE. I’m looking forward to his latest, THE BORDER, coming out this May. Pre-order your copy HERE. If you like this review, I hope you’ll friend me on Facebook or follow me on Twitter for more.